What are the best fats to eat is a common question that I get. The amount of fats that you need to eat is going to vary from person to person, even the type of fat you eat will vary depending on your individual health needs and genetics. This article will help you understand which fats to eat, and what to avoid. When I am asked what is the best diet I always have to explain that there is no one “perfect” diet for everybody. Your diet is going to vary depending on your stage of life, activity levels, hormones, gut function, genetics and it may vary depending on your previous diets and bad habits. The amount of carbohydrates, protein, and fats people need is going to vary also for the same reasons. The one common theme about what is the best diet is that it should contain minimally processed foods, and contain plenty of good quality vegetables, fruits, nuts, seeds, as well as good quality meat and fish (especially when you eat all parts of an animal) and plenty of good quality fats. Plenty of variety and eating seasonal produce is also important but often forgotten when food can be shipped all over the world. In the last 40-50 years, the way we eat has changed dramatically, and it is not just the increase in processed foods ….. For a long time we have been given a loud and clear message from governments and health organizations that we need to reduce the amount of fat in our diets. People listened and started cutting the fat off their meat and buying “healthy” low-fat foods from the supermarket that could be conveniently processed and packaged. 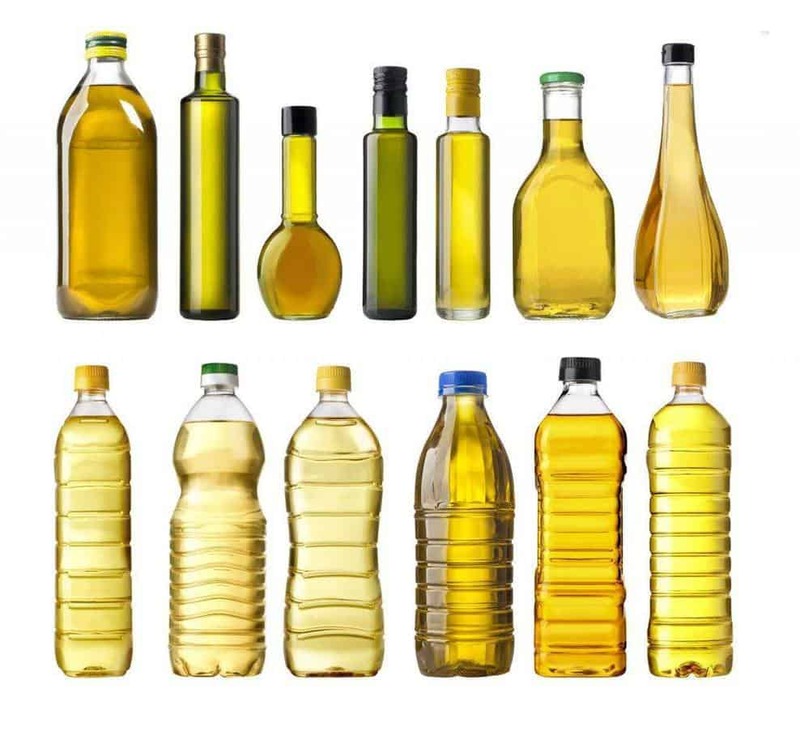 But this reduced fat diet has led to an increase in carbohydrates and industrially processed oils that were promoted as healthy choices, like Soybean oil and Canola Oil. This diet change has come at a price to our health, with an increase in many chronic illnesses like obesity, diabetes, cardiovascular disease, autoimmune disease and mood disorders …. finally the tide is starting to turn and the science shows that eating more fats is not unhealthy, and in fact can promote good health. We need to cut out our processed foods, many of which come with healthy ticks of approval. Many traditional cultures around the world have thrived on a high fat diet, people like the Inuit and the Masai have eaten very high fat diets with no evidence of the modern illnesses that we have today. While the Inuit and Masai may have exceptionally high fat diet, most traditional cultures around the world consumed at least 50% of their diet in fat. There is a couple of exceptions like the Kitavans in the Pacific and the Okinawans who ate less fat and more carbohydrates …. the big difference though is that they were not eating any processed foods, and still ate quality fats from coconut oil and fish. If you have spent the last 20, 30 or 40 years eating a processed Western style diet and have weight problems, metabolic syndrome, diabetes or cardiovascular disease then it does matter what ratio of macronutrients you eat, you must reduce the number of carbohydrates you eat and increase the number of fats. People are often wary of making this change because for so many years they have been told how bad fats are, and that they will clog up your arteries, this also does not mean excluding carbohydrates, but finding the right balance for you. Let’s investigate what are the best fats to eat, and what you should avoid. Saturated fats are known as long chain saturated fatty acids (LCSFA’s) and they are found in the milk and meat of animals like cattle, sheep, and chicken …. these are the main fats that we have been told to avoid. LCSFA’s have exotic sounding names like Myristic, Palmitic and Stearic acid and for thousands of years have provided a much needed energy source, and despite their bad reputation have no known toxicity. The best fats to eat that are saturated are going to include ghee, duck fat, lard and fat from grass fed animals. LCSFA’s form the core structural fats in the body, comprising of 70-75% of fatty acids in most cells, I know everyone talks about the importance of omega 3 fats but they only need to be about 2% of calorie intake, and saturated plus monounsaturated fats are going to make up the bulk of your fat intake. Saturated fats are the primary storage form of energy for people, if you have an excess of energy from food this is how it is going to be stored as fat. But if you are overweight and have high insulin levels you may not be able to access that fat for energy …. this can lead to fatigue and a lack of energy despite all of the stored energy that you have. The trick is to lower insulin levels by lowering carbohydrates so that you can switch on your ability to burn fats. Anyone who has the APOE4 gene should reduce their saturated fat intake, as this can lead to an increase risk of conditions such as Cardiovascular disease and Alzheimer’s disease. This does not mean low fat but low in saturated fat. Testing your small dense LDL particles is a good way to assess if you should reduce your saturated fat intake. Medium Chain Triglycerides (MCT’s) are another type of saturated fat, it is primarily found in coconut oil, palm oil, and breast milk. MCT’s are metabolized differently than LCFA’s, they don’t require bile acids for digestion, and pass directly to the liver where they can be quickly metabolized for energy, this increased metabolism helps with fat loss. This is why MCT oils are added to things like Bulletproof coffee, this is becoming a trendy way to have your morning coffee. In addition to being a great energy source, MCT’s are also high in Lauric acid and that has antibacterial, antiviral and antioxidant qualities. Coconut oil, in particular, is good for cooking because it does not oxidize easily at high temperatures. The best fats to eat that contain monounsaturated fats (MUFA’s) like Oleic acid are found primarily in olive oil, nuts like macadamia’s, avocado and grass fed beef. Like saturated fats the MUFA’s form the core structural fats of the body. These are the only fats that organizations like the heart foundation and other low fat groups agree on that are in fact healthy, though they only recommend them in moderation. Long chain saturated fats, MCT’s and monounsaturated fats should form the bulk of your fat intake, and will lower your risk of heart disease, metabolic syndrome and combined with a lower carbohydrate diet help to lose weight. They help to increase the HDL cholesterol, lower triglycerides, and the small dense LDL particles. Polyunsaturated fatty acids (PUFA’s) can be divided into omega 6 and omega 3 fats which most people are familiar with. PUFA’s are fragile fats and are prone to oxidative damage, this creates free radicals in the body which raises our risk of all types of chronic health problems. While they are potentially toxic in high doses or in processed food products, they are also essential to our health and an important part of a healthy diet. Ideally, you should have a ratio of 1:1 to 1:4 of omega 3 to omega 6 fats, but with the high amounts of omega 6 fats in processed foods, this ratio is 1:20 to 1:30 in the Western diet. It is this excess consumption of omega 6 PUFA’s, plus excess refined carbohydrates that are the cause of heart disease, diabetes, and obesity. Omega 6 fats are found in a wide variety of foods like fruits, vegetables, grains, meats, nuts and when these foods are part of a “real food” diet, there is not usually a problem with excess omega 6’s. The problems with excess omega 6 fats occur when people are eating a diet high in processed foods like cereals, bread, biscuits, cookies, commercial salad dressings and muesli bars, virtually all processed food products. Many of these foods like cereals, bread and muesli bars are marketed as healthy options. These processed foods contain industrially processed oils like soybean, vegetable, corn oil and rice bran oil, none of these oils are eaten in traditional diets, and if you saw the number of chemicals used in the process to make them that would be enough to put anyone off eating them. Omega 3 PUFA’s can be further subdivided into short chain alpha-linolenic acid (ALA) and long chain which are the EPA and DHA found in seafood, fish oils and to a lesser extent grass fed cattle and free range eggs. While ALA is considered essential in small amounts, it is the EPA and DHA that are the most important. The best fats to eat that contain omega 3 fats are found in oily fish like salmon, mackerel, sardines, tuna and herrings. A common myth is that you can get enough omega 3 from oils like flaxseed, but this only contains ALA and not EPA/ DHA, small amounts of ALA can be converted to EPA but it is only very small amounts, and a common gene defect in the FADS1 gene can often mean some people don’t convert any. Increasing your fat intake does not mean that you have to have a huge amount of fat on your plate, fat is very energy dense so the bulk of your plate should consist of salads and vegetables, a portion of protein and 1-2 tablespoons of fat. Even this amount of fat will mean about 50% of your energy intake is coming from fats, and the most important thing is the quality of the fat. Many vitamins and minerals are fat soluble so this is another reason to include some healthy fats with each meal, your green smoothie of a morning requires fat so that you can absorb the fat soluble vitamins and phytonutrients that it contains. Very informative Michael. Thanks for the smoke point chart. There is so much conflicting information out there and this makes it all very clear.